Apart from 241A style modules, all 237 and ABS modules are mounted on stainless steel frames of varying sizes and application. 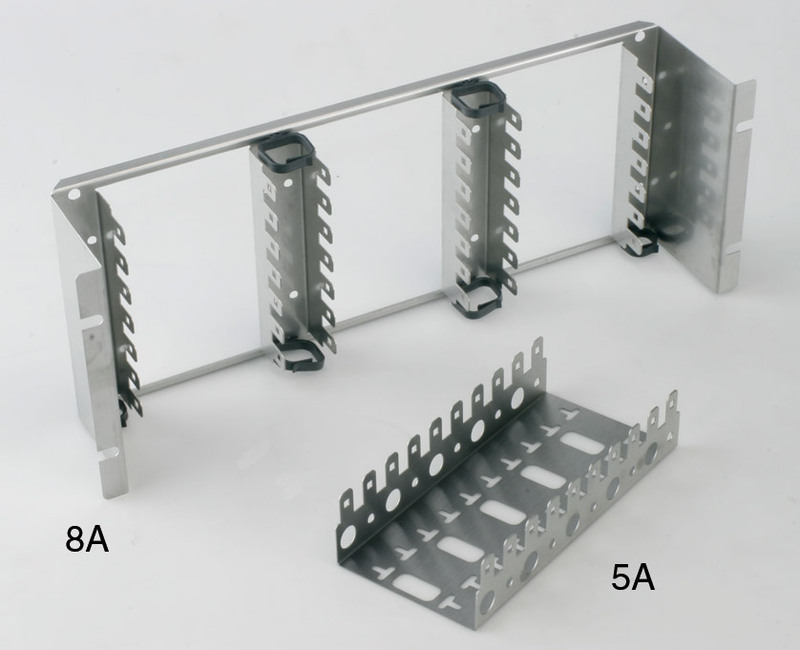 Assemblies can be made up using the 5A series of module frames. These are also used for wall box installation and termination of Krone modules in custom applications such as equipment bays and cupboards. Depth shown is depth for wiring behind module.